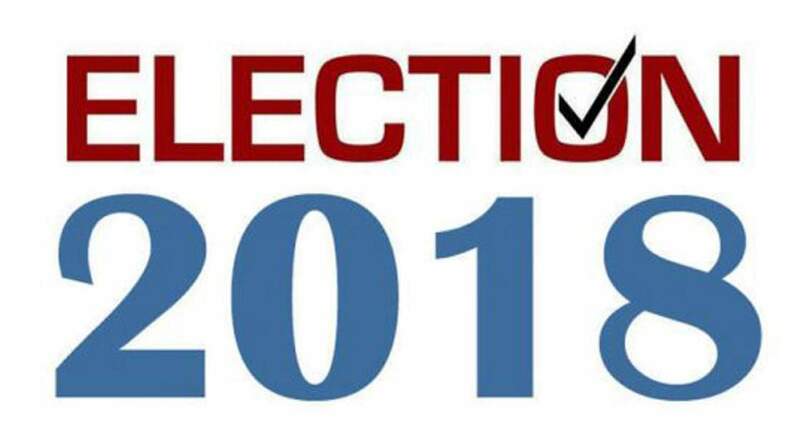 La Plata County candidates in the November General Election filed another round of financial disclosures Thursday covering activity from June 18 to July 21. Two legislative seats up for grabs: State House District 59 and Senate District 6. County commissionerIncumbent Brad Blake, a Republican, reported a balance of about $6,885 before the reporting period. He raised about $1,480 from several private donors during the reporting and spent about $40. During this campaign, Blake has spent a little more than $2,000 for his re-election. He has $8,325 on hand. Challenger Clyde Church, a Democrat, had $147 on hand before the reporting period. He raised $2,760, with $2,000 of that amount coming from the La Plata County Democratic Party Central Committee. Church spent about $1,300, mostly on advertising and signs during this reporting period, bringing his total expenditures to date to about $3,500. Church had a balance of about $1,300 at the end of this reporting period. SheriffLa Plata County Sheriff Sean Smith, a Democrat, reported a balance of $1,790 for his campaign. He raised $2,765, with $2,000 of that amount coming from the La Plata County Democratic Party Central Committee. Smith spent about $3,000 this reporting period, mostly on yard signs and bumper stickers. He has spent a total of $3,600 so far, and has about $3,600 on hand. Charles Hamby, a Republican challenging Smith, had about $4,700 on hand. He raised about $4,470 this reporting period, with two $500 donations from Durango & Silverton Narrow Gauge Railroad owner Al Harper and CSC Holdings owner Clark Craig. Hamby spent about $3,400 this reporting period on advertising and an auction event. To date, he has spent nearly $24,000 for his campaign. He has about $5,800 on hand. Independent challenger Adrian Mize’s report showed he had $8,518 on hand before this reporting period. He raised about $700 from private donors and spent about $1,600, mostly on advertising. Mize has spent about $3,800 on his campaign so far. TreasurerCurrent Treasurer Allison Aichele filed her financial report for the June 18 to July 21 period on June 18. Aichele said Thursday she did this at the guidance of the Secretary of State Office’s to help her clear up a negative balance of more than $20,000 tied to errors in her reporting for her 2014 campaign when she was first elected. According to her June 18 filing for the June 18-July 21 period, she has a starting balance of about $466. At the end of the last reporting period, however, she reported she had about $340 on hand. Aichele said her balance was off by a little more than $100 because she did not have receipts or paid with cash for small items like stamps and thank you cards that went unreported. “She (an employee with the Secretary of State’s Office) said a $100 expenditure is reasonable and I don’t need to go back and document that,” Aichele said. In her early filing, Aichele reported on June 18 that in the June 18-July 22 period she did not raise or spend any money. Aichele told The Durango Herald on Thursday this was still the case. Republican challenger Colton Black reported a balance of $2,100 before the reporting period. He raised about $1,355 from private donors and spent about $1,900, mostly on advertising. Black has about $1,530 on hand. He has spent about $5,200 to date on his campaign. Earlier this month, Senate District 6 and House District 59 filed a financial disclosure report for the period of June 14 to June 27. Senate District 6Incumbent Don Coram, a Republican from Montrose, reported a balance of $2,980 on hand. He raised about $500, with $400 coming from the Construction Cooperative Council. He spent about $400 on office supplies and travel costs. Coram reported an ending balance of about $3,000. He has spent about $12,900 on his re-election to date. Challenger Guinn Unger, a Democrat from Durango, had $2,900 on hand. He raised about $500 from private individuals and did not make any expenditures. He reported an ending balance of $3,405. Unger has spent about $2,500 to date. House District 59Incumbent Barbara McLachlan, a Durango Democrat, had a balance of $27,980 before this reporting period. She raised about $5,900, with $4,850 coming from the Public Education Committee. She spent about $930 on advertising and office supplies. McLachlan reported about $32,960 on hand. Since December 2016, McLachlan has spent about $38,160. Challenger Paul Jones, an independent from Gunnison, reported $3,630 on hand. He raised about $430 from private donors and spent about $100. He reported about $3,960 on hand. Jones has spent about $4,270 to date. Senate District 6 and House District 59 candidates must file the next round of reports Aug. 1. The next financial reports for La Plata County candidates are due Oct. 16.